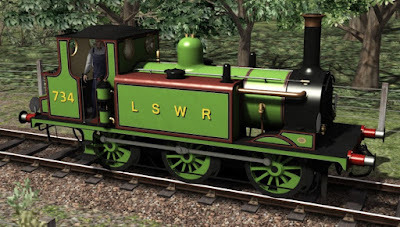 The London and South Western Railway purchased two LB&SCR Terriers (46 "Newington" and 68 "Clapham") which they numbered as 734 and 735 and used until grouping with the Southern Railway in 1923. 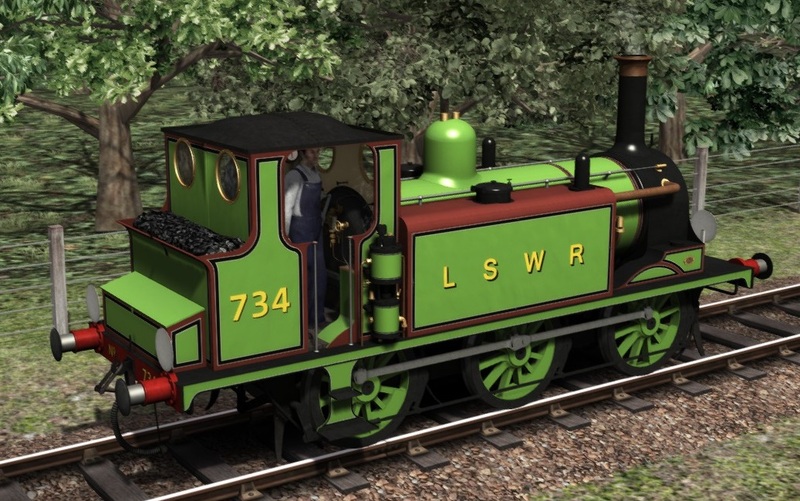 "Clapham" didn't make it to preservation being withdrawn in 1937 however "Newington" later become "Freshwater" and is now running on the Isle of Wight Steam Railway. 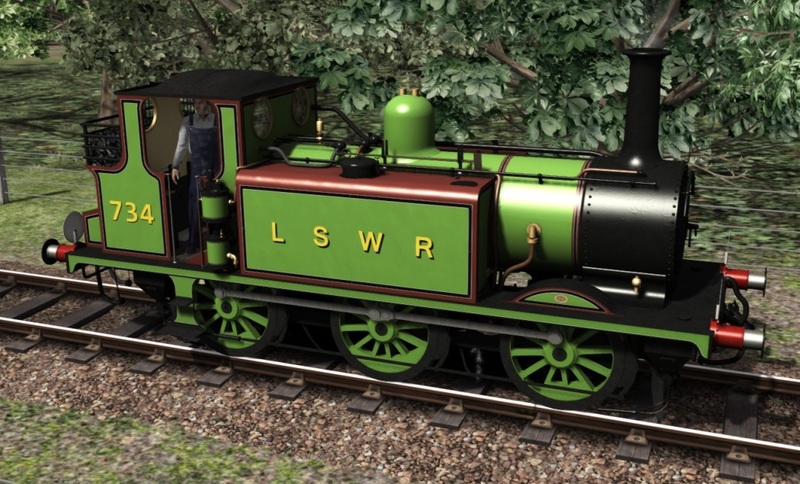 And as with yesterdays livery, although neither LSWR Terrier actually ran as an A1X at the time, if this livery was to be used for a modern preservation event then in all likelihood an A1X version would be utilised so we have provided this as well. Yeah we just noticed and corrected thanks. 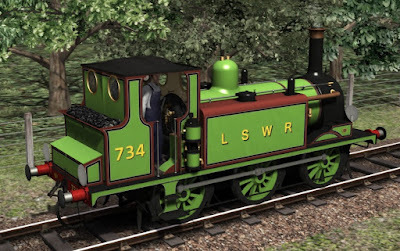 It's been one of those days where everything that can go wrong, does go wrong!